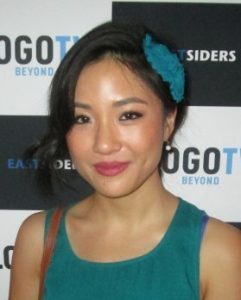 Hollywood star Constance Wu had her career beginnings in the mid-2000s. Her early works were in a couple of films such as Stephanie Daley and The Architect. She next had a recurring part on the soap opera One Life to Live. The following decade, she made guest appearances on TV shows. This includes Torchwood, Covert Affairs, and Childrens Hospital. Around the same time she had roles in the movies Sound of My Voice, Watching TV with the Red Chinese, and Parallels. In 2015, she began playing the part of Jessica Huang on the television series Fresh Off the Boat. She won a Critics’ Choice Television Award for Best Actress in a Comedy Series for this. Now a television staple, Constance Wu maintains her health and fitness by doing the right thing. Aside from eating right, at least she tries to most of the time, she also keeps herself physically active. Being busy in her television work, Constance already keeps herself fit by being mobile in between shoots. But despite her busy schedule, she still finds time to hit the gym or just workout outdoors. By being active, she is able to boost her energy levels. Aside from this she also notices that she’s in a better mood. This is because her heart rate is increased. In an interview, she was asked about her healthiest habit. She answered: “Running. When I’m not working, I run, like, six miles a day. I listen to old Broadway musicals, like The Sound of Music or A Chorus Line. If I’m doing a longer run, I’ll listen to a podcast. There’s a podcast about puns I like called Punk Assed. 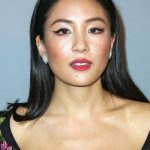 It’s pretty funny.” With her fitness routine, it’s understandable why Constance Wu, despite being in her mid-30s, still looks younger than her actual age since running has multitudes of health benefits.